Yup… it’s the hair thingie. I’ve just gotten home from work after having eaten a LOT of chocolate and am now in the process of destroying my hair. I got hold of some hair bleach, have applied to my hair and am waiting for it to go really light so that I can then wash it off and put on a nice chocolate (!!) 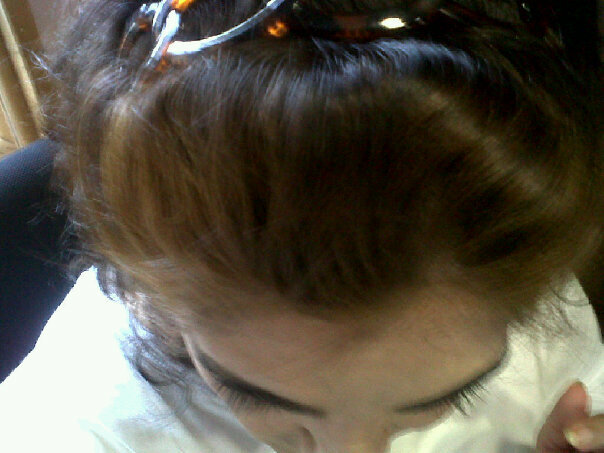 brown that I really like and is the closest to my natural hair colour. In theory I know it all sounds great but you and I we both know what’s going to happen. I’m going to be wailing my head off in the next half hour or so because of the disaster that has just occurred. Remember the orange hair disaster that happened about a month ago…? I’m off to wash off the bleach and (hopefully) successfully apply the chocolate brown colour on my head. Everything crossed…!